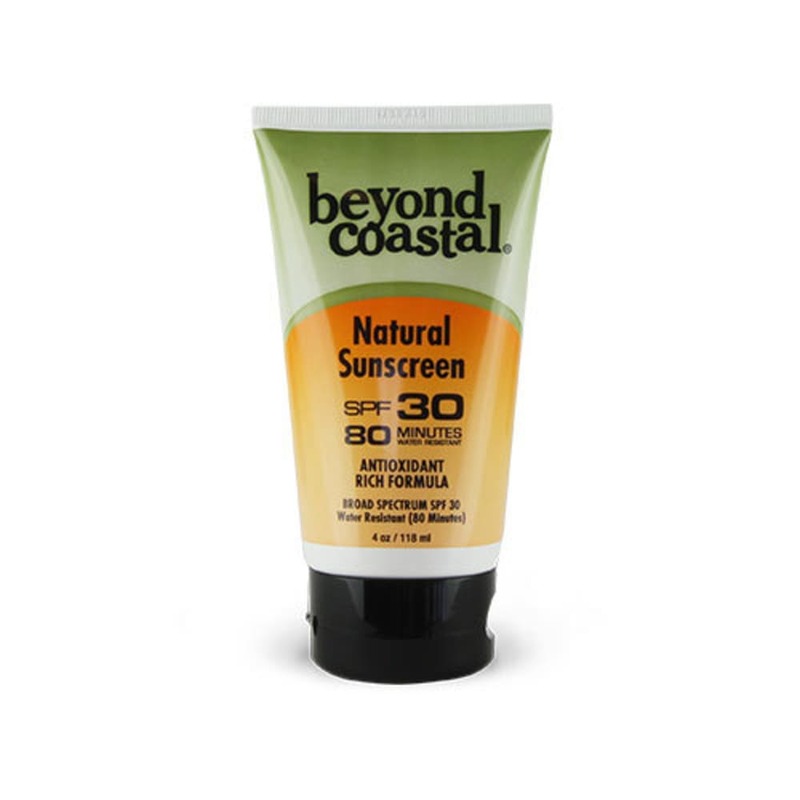 Beyond Coastal’s Natural Formula sunscreen provides mineral based, broad spectrum coverage. With Zinc Oxide, it creates a physical barrier from the sun, utilizing natural ingredients. Natural sunscreen is a great option for families, children, and anyone who’s looking for a clean and natural formula. Inactive Ingredients: Acai Fruit Extract, Allantoin, Aloe Vera Extract, Arachidyl Alcohol, Arachidyl Glucoside, Ascorbic Acid, Behenyl Alcohol, Capric/Caprylic Triglycerides, Caprylyl Glycol, Castor Isostearate Succinate, Cetearyl Alcohol, Cocoa Butter, Dimethicone, Galactoarabinan, Glycerin, Glyceryl Stearate, Grapeseed Oil, Irish Moss Extract, Jojoba Seed Oil, Lauric Arginate, Methylcellulose, Phenylethyl Alcohol, Polysorbate 60, Pomegranate Extract, Potassium Sorbate, Rosehip Seed Oil, Sclerotium Gum, Shea Butter, Sorbitan Stearate, Vitamin C, Vitamin E, Water.